Rural communities need to be better connected and resourced to tackle issues like speeding, flytipping and theft after they were identified as key concerns in a new report, Devon and Cornwall’s Police and Crime Commissioner has said. 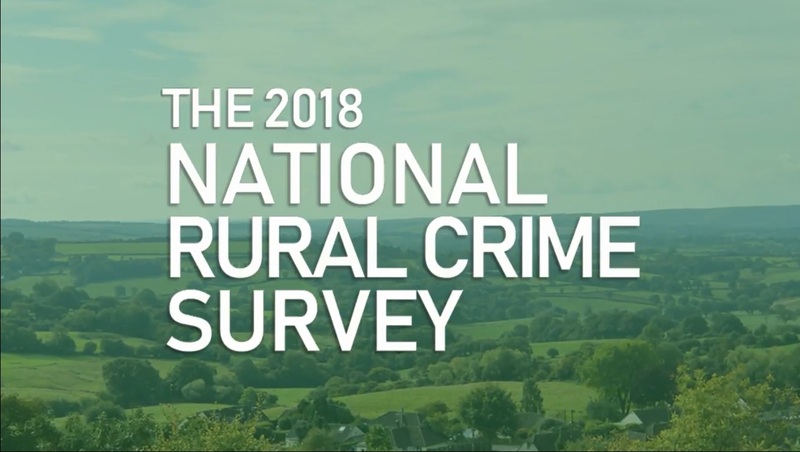 Alison Hernandez was responding to the results of the Rural Crime Survey, a national exercise designed to establish rural residents’ main concerns. Members of the public were invited to fill in an online survey and over 1,066 residents of Devon and Cornwall and the isles of Scilly responded. The results indicate rural residents had concerns about the levels of policing they received, were fearful of crime and there was a need for a much greater understanding of the challenges faced by rural communities and businesses. Steps to tackle these problems have already been made in Devon and Cornwall, where a new specialist rural crime team has been set up, Special Constables have formed an award-winning rural engagement team and an innovative scheme that allows police to use fire stations to meet the public and take statements is being piloted. To tackle road safety a ‘No Excuses’ unit has been set up to educate drivers, enforce speed limits and crack down on mobile phone use at the wheel. In addition households in Devon and Cornwall are paying more through their council tax to increase police officer numbers across the two counties to 3,015 by April 2021, meaning a further 575 officers are being recruited and trained within the next three years. Alison said that while the survey was self-selecting in terms of respondents, and those taking part were more likely to have been victims of crime than most, it provided a useful insight into the problems faced by remote communities. “The Chief Constable has already recognised some of the concerns raised in this report and responded with measures like the setting up of the rural crime team, but more needs to be done – particularly to deal with thefts from businesses which can have a devastating impact on livelihoods. “It’s clear from this report that many of the concerns of people who live in rural force areas are around crimes like speeding and flytipping. It is precisely this kind of activity that impacts on community wellbeing and we must have a joined-up approach with local authorities and communities if we are to make a difference. “When there is effective collaboration between councils, the police and residents we can truly deliver on making communities safer, more prosperous and more pleasant places to live and work. That’s why I have taken the national lead for road safety and the Government has realised that more needs to be done to keep people safe on our roads. When 61% of roads deaths occur on rural roads it is clear that more needs to be done." Crime, and the fear of crime, is leading to emotional strain and a loss of confidence, particularly among young people, families and farmers – this survey busts the myths about who we tend to think of as vulnerable when we think of rural crime and shows that farmers, young people and hard working families are most affected and feeling most vulnerable. Twenty six per cent of rural people in Devon and Cornwall believe that crime has a moderate or great impact on their lives. Farmers and rural-specific businesses are living with, and in fear of, crime – Fifty two per cent of Devon and Cornwall farmers and rural-specific business owners have been a victim of crime over the past 12 months with 26 per cent saying they are fairly or very worried about becoming a victim of crime in the future. The perception of policing in rural communities is poor, and much worse than in urban areas - only 27 per cent of respondents nationwide say their local police are doing a good job – 11 per cent lower than when the same question was asked in 2015. In Devon and Cornwall, the survey revealed that 26 per cent felt their local police are doing a good job. Some of the most common concerns are not solely policing matters, like fly tipping and speeding – 54 per cent of respondents in Devon and Cornwall said they had seen evidence of fly tipping in the past year, topping the list of offences, with speeding second at eight per cent. Both are clearly important for rural communities, but are not solely being policing issues with responsibility shared among local authorities and other agencies. We believe too many partners, like local authorities, are less able to respond to the needs of rural communities. Communities believe crime is a big problem, but many offences go unreported – compared to 2015, the number of crimes going unreported to the police nationwide is up by a third for residents and two-thirds by businesses in rural communities - mainly because they do not feel the police and criminal justice system understand the issues or do anything about them. The financial strain of crime is significant – the average financial impact of crime on rural-specific business owners is £4,800, 13 per cent up on 2015. Ultimately, rural communities are not understood, and services do not match need – too often rural communities are considered safe and prosperous places, this preconception stops serious needs analysis being done. When the lid is lifted it is clear rural people and businesses are fundamentally misunderstood. We believe this is true of many areas, not just crime and policing, and further work needs to be done to assess community safety and service provisions policy across the board in a specifically rural context. Research was carried out between April 18 and June 10 by independent research company The Buzzz. In total 20,252 responses were received from across England and Wales. Of these 1,066 responses were received from Devon or Cornwall. The full report and its recommendations can be found at www.nationalruralcrimenetwork.net/survey.